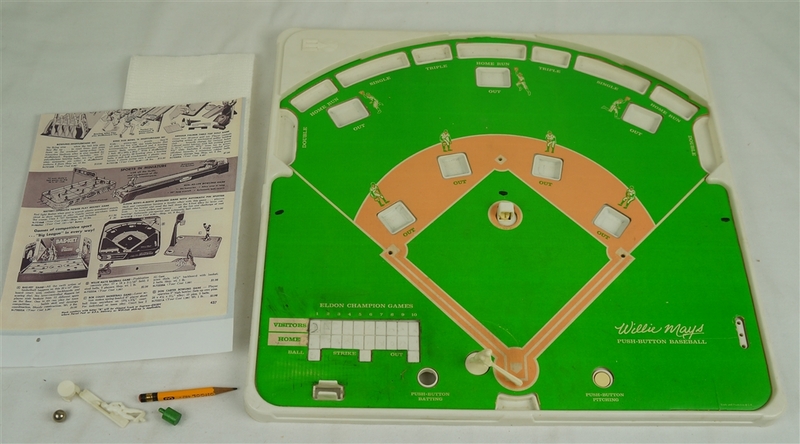 This lot features an Eldon Champion Games Willie Mays Push Button Baseball c.1960-70's. 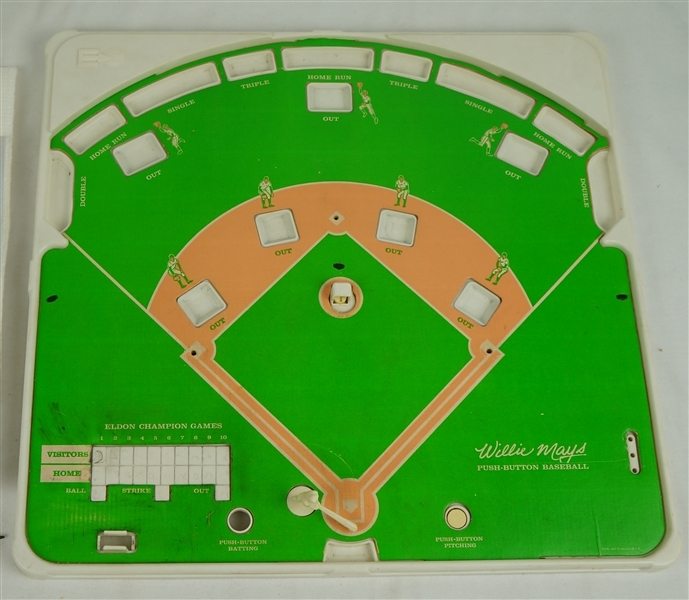 Tabletop action game with plastic player pieces and push button marble action. 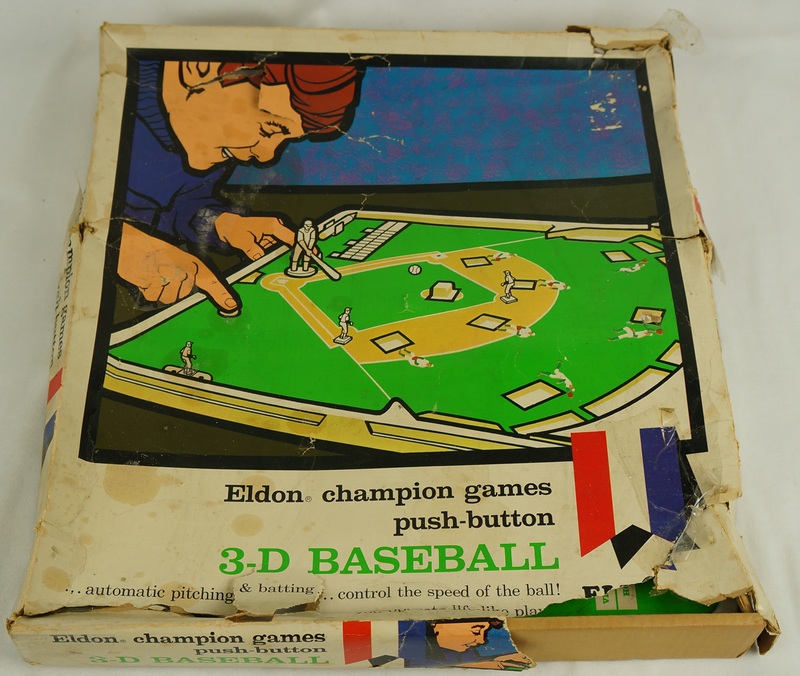 The box top is in rough shape but the game itself remains in nice condition.